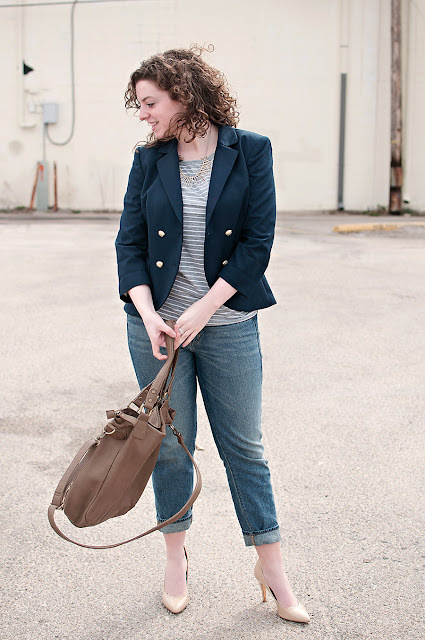 The Adored Life and J.Crew Giveaway! If you all don't already follow Alissa from The Adored Life then you are sincerely missing out! She is one of my favorite daily reads and always writes with honesty and humor. Not only is the content great, her outfits are always classy, cute, and inspired! Alissa is sponsoring Ladies in Navy this month and it's been amazing working with her. 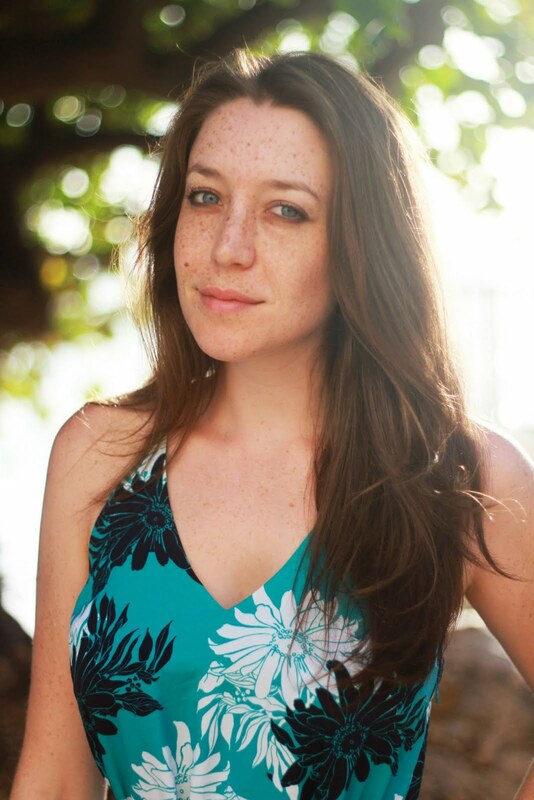 She was kind enough to grant us a little interview about her blog and is offering up a $25 J. Crew gift card today. Read through her interview and gorgeous pictures and then enter below! The winner will be announced next Monday, so stay tuned! I started blogging almost a year ago next month. I had been going through the worst semester in my college career and knew I needed some type of release from the stress. I just decided to start blogging and not tell anyone. Initially it was going to be a diary of sorts for me to look back on. Then I started following a few blogs and one day decided to post an outfit. I got a few comments and then I started mixing in outfits with really long journal-style entries. Eventually I realized that I was really drawn to outfit posts and I started posting those exclusively. From there the blog grew into what it is today. My goal is to always be extremely genuine with my readers. I don't try and paint the picture that I have a perfect life. I don't. I cry a lot, I laugh a lot. I've learned that when you are open and honest with people they will be with you. That is why I love blogging so much. I am a huge fan of going through lookbooks, marking which I ideas I like and then putting them into a binder. I love that I can access it at any time and see the notes I took when I saw the original outfit for the first time. I also really love being in a college town. Lawrence is such a creative community and it is awesome to see what students wear. I love walking down one of the main streets and seeing people from all over the world and the United States and how they dress. What's your favorite place to shop on a budget and what would be your favorite place to shop if you had unlimited spending money? I am a huge fan of J. Crew Factory right now. They always have great monthly sales and their prices are affordable for me, even on a college budget. I really love to mix pieces from J. Crew with pieces I have thrifted from Goodwill. If I had an unlimited spending money I would buy everything from Oscar de la Renta. Including a wedding dress. That man can do no wrong. I have no idea where his genius comes from but it is amazing. Studying. I have no life. That is only slightly an exaggeration. I do spend a great majority of my time free time studying, especially right now as finals approach. I have loved baking since I was a child so I can often be found in the kitchen creating a new recipe or searching for the perfect chocolate cake recipe. My boyfriend has recently given me a KitchenAid stand mixer and every weekend I have spent baking. I have recently started taking a cake decorating class which has increased my love for baking even more. Other hobbies include: photography, reading, cleaning, shopping, volunteering with Special Olympics, organizing anything I can and being with my wonderful boyfriend. I also have 10 nieces and nephews, 3 sisters and 1 brother with Down Syndrome that I adore and spend a lot of time with. What do you see as the future for The Adored Life and tell us about your upcoming rebranding if you don't mind? I have one more year of college, I plan on blogging through my graduation date next May. In my dream world I will be able to have blogging become full-time but I have to live in reality. Reality: I will most likely keep blogging in the future. I really love how I am able to look back at my posts and think back to how I felt about a certain situation or day. I think this is really valuable to me as I graduate and start a career. This summer I will be working with Melissa Rose Design to create a whole new look. I want to create a unified look across Twitter, Pinterest, The Adored Life as well as in business cards and other materials. You can get a sneak peak into what I am dreaming of on this board. (I'll give you a hint, there's a lot of black, glitter, stripes and polka dots). Love this - I actually wasn't following her - but am now! Am excited to have someone new to read. Lovely giveaway! Jcrew is the best. Thank you! I love your outfits! 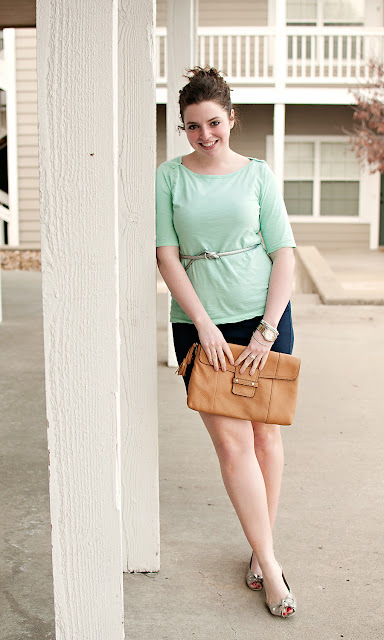 You have great style and great giveaway! She's amazing! Thank you for sharing! She has a really lovely style! What a great interview. Recent Post: Evy's Tree Giveaway on the ole blog! lovely giveaway! and her style is cute! polka dot tights for the win! Love getting to know new bloggers & thanks for a fab giveaway! Love her style and her smile. 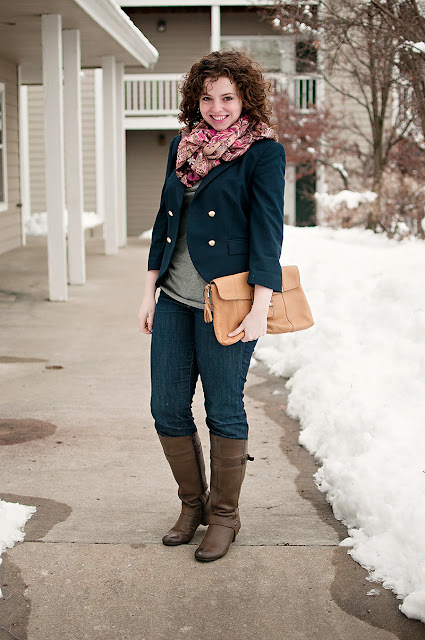 Love all the outfits and Jcrew!